Not only that, A LOVE doesn't really matter of what kind of person u are. It was been reflected there [message] that LOVE could really do anything. 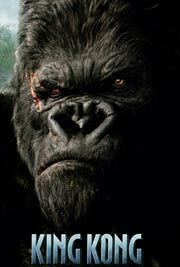 Kingkong is a beast, the greates and the strongest, but who just controlled him? the beautiful lady where i could possibly know he liked... see, the lesson there is very obvious. If u love someone no matter what kind are u, prove it. U wont lose anything, but at least u have showed it to that person whom u loved/liked. I just want to shared how great to watched it and the lesson on itm its how i interpret it...u will not regret if after u've seen that movie.